As for the 2 shaft shredder, the main feature of this is the use of dedicated motors for each of the two shafts, so it is possible an initial setting of the speed of each of the shafts according to of the materials processed. Furthermore, for particularly tough and problematic materials, they are available in HT version (High Torque) to provide the machine with an even greater torque. The materials for which these shredders can be used are: MSW, RDF and SRF, bulky waste, packaging, car tyres, debeaded truck and OTR tyres, oil filters, textile materials, general industrial waste, cardboard, wooden pallets. According to the different kind of materials, the production rates are between 15 and 40 t/h. 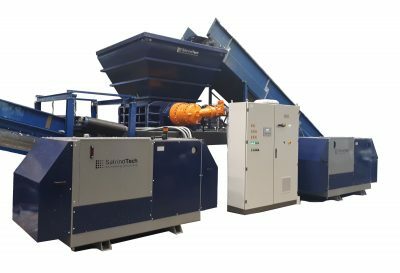 For more information on our 2 shaft shredder, please contact our specialist team today.